Digestion is the orchestrated bodily processes of utilizing food for nourishment, growth, reproduction and health. Digestion is about energy and nutrition. We gain access to energy and nutrients by eating a healthy diet of plants and animal products in our environment and breaking them down into smaller components. First and foremost, food is necessary for survival, and a basic activity for daily living. But food is also an intricate part of our social interactions and pleasure. It’s a complicated process, each aspect is dependent on another. When some aspect doesn’t work properly, many people experience difficulty. The digestive or GI tract is the focal point for digesting food and absorbing nutrients…..but also has many other functions! The digestive system is interrelated to other bodily systems and core to our wellness. The GI tract is a key part of our immunological system — it provides a first line of immune defense against foreign pathogens. You may have heard of the “gut-brain axis,” a communication system between the brain, GI tract, gut microflora and neurological system in the gut. The gut interfaces with our circulatory and lymphatic systems. The digestive system, in particular the liver, is critical in our detoxification systems. The GI tract supports the natural anti-inflammatory processes. A healthy varied whole foods unprocessed diet with lots of fruit and vegetables, whole grains, fish, chicken, nuts, legumes, low-fat dairy and limited amounts of meat is the best way to support a healthy digestive system. But there are dietary supplements for everyday living that support the basic bodily function of digestion. If your digestive process is “off” you can feel miserable and even ill. Noticeable symptoms might include, a belly ache, bloating, gas, pain, nausea, vomiting, loss of appetite, acid reflux, diarrhea or constipation. It’s also known that if your digestive process is working well, it will have a positive effect on your vitality, energy level, mood and quality of life. Simply Stated, What’s the Basic Process of Digestion? Once we ingest food, our bodies use both mechanical and chemical processes to break it down. In the stomach, there’s a churning process — the food mixes with acids and enzymes and further breaks it down. The muscles of the GI tract move the bolus of food along, absorbing nutrients, mostly in the small intestine. In the colon (large intestine), water gets resorbed and bacteria ferment undigested products and manufacture some nutrients. Finally undigested materials are eliminated from the body. In their simple form (e.g. glucose, amino acids, triglycerides, minerals, vitamins, etc.) food components can be absorbed from the GI tract into the blood stream and lymphatic system. After absorption through the wall of the small intestine, blood carries nutrients (and other things like toxins) to your liver before continuing on to other parts of your body. The liver breaks down or modifies the chemical structure of toxic substances through processes like methylation, which “neutralizes” them and mitigates their harm to the rest of the body. The liver limits toxic substances from getting into the bloodstream by speeding up their excretion in bile or urine (through conjugation) — whether they are alcohol, certain microbes, chemicals or drugs. Sometimes the liver tries to protect the rest of your body by storing the toxins in the fatty part of liver cells, which can have negative effects if it builds up in excess. The liver processes carbohydrates, protein and fat (triglycerides) into glucose, the chemical form of energy that can be used by the body. The liver produces bile which helps to digest fats through emulsification and helps with absorption of vitamin K.
The liver makes protein, stores glucose, vitamin B12 and iron. 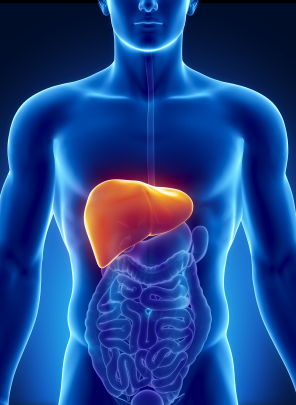 The liver synthesizes essential compounds like cholesterol, blood clotting factors, hormones. 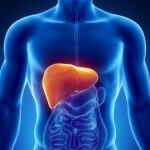 The liver also clears dead red blood cells and is an important part of the maintenance of red blood cells. The liver converts ammonia to urea, which is then excreted mostly through urine and small amounts through sweat. The gallbladder helps with fat digestion by storing and releasing bile into the GI tract when needed. The pancreas deserves a special mention. It is a glandular organ that is part of the digestive and endocrine systems. The pancreas produces pancreatic juices which include enzymes (that break down carbohydrates, proteins and fat) and secretes them into the small intestine. The pancreas also produces critical hormones including insulin. Insulin is necessary for cells to uptake glucose from the blood stream. If a person cannot produce insulin or enough of it, or if the body’s cells are resistant to taking in insulin, he or she will develop diabetes. such as digestive enzymes (like amylase, lipase, protease, lactase, sucrase, maltase) and hydrochloric acid (stomach acid). including a gastric mucosa that is semi-permeable, defending against unwanted microbes and undesirable foreign substances, and able to absorb the nutrients you need. that will also support the immune response and maintain a healthy intestinal pH. so the body has healthy elimination of unneeded food byproducts and toxins. which is key to detoxification of harmful environmental substances, clearing dead or diseased cell matter, fat digestion and production of key compounds like hormones. Besides aging, there are many potential stressors that can affect GI wellness, healthy digestion and normal detoxification. Environmental and Toxins from the Food Supply – There are more and more environmental toxins in our environment that our bodies have to deal with… from household chemicals, car exhaust, building materials, plastics, manufacturing byproducts, pharmaceutical products we intentionally take and those in our water supply and chemicals that run off into our reservoirs. In addition, the pesticides used on fruits and vegetables, food additives in processed foods and chemicals in packaging, as well as alcoholic beverages, give our livers more work to do. 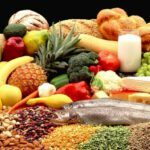 Food Intolerances and Food Allergies – When we eat foods we are intolerant (sensitive) to, or foods we are allergic to, the lining of the gut mucosa can get inflamed and compromise its integrity. This may increase the absorption of unwanted foreign molecules or microbes and decrease the ability to absorb the nutrients we want. The elimination of certain foods can lead to more restrictive diets and limit the nutrients taken in through foods. Highly Processed, “White and Brown” Diet — The typical Western diet, with few fruits and vegetables, little fiber, lots of sugar or high fructose corn syrup, highly animal product based (fed on corn) and few whole unprocessed foods can place a stress on the digestive and elimination systems, and gets compounded over time. The nutrients and components like antioxidants from these foods may be inadequate, the lack of dietary fiber may be constipating, and the mix of gut bacteria may be less than ideal. In fact, a highly processed, high sugar and high carbohydrate diet feeds unwanted microbes such as the fungus Candida. Emotional and Other Stressors — So many things can stress our GI systems. Having a “bad” day or experiencing emotional stress, a change in routine, travelling and eating unfamiliar foods are normal stressors that can get our digestion out of whack. There are many nutritional supplements that can support your digestive systems, each in their own way. Some botanicals and herbs have been shown to reduce gut inflammation or help repair the gut mucosa and restore its integrity, others can stimulate the liver’s production and release of bile. Digestive enzymes can support digestion of carbohydrates, proteins and fats. Other digestive enzymes can help digest common components that trigger food sensitivities such as gluten, dairy, lactose, casein and phenols. Probiotics, are “good” microorganisms that are naturally in our GI tracts, but are often there in inadequate numbers. By taking the probiotics, a healthier ecosystem of microbes in the gut can be restored. The microbes in our guts can confer benefits such as vitamin production, providing a defense against pathological bacteria getting established, maintaining an environment that supports the gut mucosa (decreased inflammation) and proper pH balance.